Below, we’ve listed the 12 games we feel are a great starting point for iPhone gaming. Hitman games are famous for their open-ended sandboxes. At their best, they let you creep around a party or a museum, find your target, and creatively take them out. Hitman GO… doesn’t really do that. What it does do, however, is offer a bunch of smart, tightly designed puzzles that gradually become more complicated as you go, but are never too complicated to finish off in the space of a single bus ride. With its stripped down board-game aesthetic and abstract violence, it may not look much like a Hitman game, but it still manages to capture the series’ meticulous, satisfying nature. A Good Match For: Hitman fans, puzzle fiends, people who like imagining what it means when one board game piece “assassinates” another board game piece. Not A Good Match For: Those looking for an actual portable Hitman game. In Super Mario Run, Mario runs forward of his own accord. Your primary job is to tap the screen to make him jump, which you’ll have to do to help him collect the hundreds of coins strewn throughout each level. That may sound simple, but the creative designers at Nintendo have added a healthy amount of depth to that basic formula. There are touch-pads that stop Mario in his tracks, multiple paths to each objective, and each level can be replayed several times with increasingly complex coin configurations. The more you put into Super Mario Run, the more you’ll get out of it. A Good Match For: Mario enthusiasts, fans of touchscreen platformers like Rayman Run, those who like replaying levels and perfecting them. Not A Good Match For: Anyone looking for a Mario game with traditional controls, people who only want to spend a buck or two on phone games, anyone who can see themselves blowing through each level once and never replaying them. Also, anyone who plays a lot on planes or subways: Super Mario Run requires a data connection to work. You’re alone on an island, surrounded by puzzles. That’s The Witness, an extremely complicated game that is really very simple. Some of the puzzles are obvious: They’re on screens right in front of you, stacked in orderly rows. Other puzzles are much less easy to find. All of them will stymie and confound you, but over time you’ll gradually dismantle them until the game’s grand design is laid out in front of you like the workings of a finely crafted watch. Some games make you level up your character to access new areas; this one makes you level up yourself. There are few more satisfying feelings in gaming than when you finally realize the solution to a puzzle in The Witness. With a click, a new door opens. The Witness carries over all its brilliance to mobile devices, and works well on the go. Purchase From: The App Store. By boat, by land, by airship, by giant mechanized city with legs, do you have what it takes to make it… Around the World in 80 Days? That’s the question at the heart of 80 Days, a fantastical re-imagining of Jules Verne’s famous novel that casts you as Passepartout, manservant to the gentleman Phileas Fogg. As a valet, you are responsible for packing the bags, negotiating at markets, and planning the itinerary on your journey ‘round the globe. Each trip will be different from the one before it, and thanks to the game’s peppy writing and frequent surprise detours, each trip will be great deal of fun. 80 Days captures the joy and melancholy of travel with unusual wit and humanity. A Good Match For: People who like interactive stories, geography buffs, fans of travel. Not a Good Match For: Anyone looking for a low-investment, pick up/put down action game. Also, those who hate to read—the majority of 80 Days is text-based interactive fiction. Legend of Grimrock harkens back to PC dungeon crawling RPGs like Eye of the Beholder and Dungeon Master. You control a party of four adventurers who must escape a nigh-inescapable dungeon. As you move through a series of grid-based rooms, you’ll gradually build a map of the area, solve puzzles and defeat monsters, clawing your way ever closer toward the exit. Legend of Grimrock successfully channels the thrill of old D&D campaigns and works wonderfully on a phone, letting you easily manage your party and navigate the maze without missing a step. A Good Match For: Old school RPG fans, anyone looking for a more involved fantasy game to play on the go. Not A Good Match For: Those looking for an easy and casual game, or who don’t like complex RPG mechanics. Read our impressions of the PC version of the game. Threes is basically a game about kissing. And math. You slide a bunch of little numbers around a tiled pad, trying to get two like numbers next to each other. If you can do that, they’ll get friendly and combine to form a new, bigger number. Keep on moving, keep on combining, and your score will climb and climb. Threes is an immaculately designed game made all the more winning for its aesthetics. Charming, musical, and deviously addictive, it’ll become your new iPhone obsession. A Good Match For: People looking for a simple puzzle game to play on a commute, anyone who likes competing with their friends for high scores. Not a Good Match For: People hoping for a deep story, those who prefer sub-standard clones. Remember Magic: The Gathering? Sure you do. Blizzard’s card game Hearthstone: Heroes of Warcraft is a lot like that, albeit streamlined and easier to pick up and play... and way more addictive. Hearthstone began on PC but seemed destined for the app store, and boy oh boy does it fit right in. After an hour or two you’ll be building your own custom decks and challenging your friends and strangers to matches, either online or, if you’ve both got phones in the same room, in person. Each match is over in a matter of minutes, making it easy to fit into your everyday life. And while eventually you might feel tempted to start paying for the random card booster packs, you can wring a whole lot of enjoyment out of Hearthstone without paying a nickel. A Good Match For: Fans of card games like Magic: The Gathering, people who like Blizzard games, anyone looking for a fun (free!) online multiplayer game for iPhone. Not a Good Match For: High-level perfectionists who don’t want to pay extra, people hoping for an offline option. Hearthstone will do a good job of matching you up against random online players of a similar level, but if you want to build a deck full of rare, powerful cards, you’ll have to sink in some cash. Read our thoughts on the iPad version. Download From: The App Store. You’re in a cold, dark room. First, you get a fire going. Then, you head out in search of wood. After that… well, things develop. To say more would be to spoil what makes A Dark Room special, but suffice it to say: This game grows far beyond its humble origins, and the journey from here to there is an engrossing one. A Good Match For: Fans of management/RTS games, anyone who likes a little mystery in their games. Not a Good Match For: Anyone hoping for cutting-edge visuals or production values. A Dark Room is text-only, with no audio or visuals to distract you. You wouldn’t think that a game that stitches together fishing and firearms would be a sublime mobile experience. Well, maybe you would think that... but anyway, if you think that you’re right, so good for you. Everything about Ridiculous Fishing: A Tale of Redemption is both as ridiculous and as great as the title suggests. You’ll be playing, fishing, and shooting for many hours to come. A Good Match For: Anyone who’s ever been bored with real-world fishing. All that quiet and waiting and patience that usually comes with the ol’ bait-and-line pastime gets thrown overboard in Ridiculous Fishing. Thank God. Not a Good Match For: Those who want tilt-free gameplay. You’re going to look a little silly with all the turning and twisting your 21st century smartphone in pursuit of crazy levels of fish death. But it’s worth it, by God. Framed 2 replaces its predecessor Framed on this list for an obvious reason: it takes all of the original’s ideas and expands on them, usually with terrific results. The basic game is the same: you’re watching a series of mysterious, noir-inspired events play out from left to right as if in an animated comic book. However, you have the power to rearrange the panels and cause events to play out differently. The puzzles start simple but quickly become more complicated, forcing you to think creatively and rearrange and even rotate panels on the fly to get each character through their scene safely. Framed 2 makes for a great pairing with the original, despite being the stronger and more fully realized game. Just play ‘em both. A GOod Match For: Puzzle fans, comics fans, goofy noir fans, Framed fans. Not A Good Match For: Anyone looking for an involved story, people who prefer more action in their mobile games. Reigns is Tinder, except you use it to rule a fantasy kingdom. People live and die on your every swipe, and so do you. On one playthrough, you might close your borders and get killed by irate peasants. On the next, you might follow your dog into the forest and eat a weird mushroom. On the one after that, you might meet the devil. Reigns is a mobile experience where you can get a full, satisfying story in a matter of minutes, all while trying to solve a deeper mystery about why you keep getting reincarnated as different kings. In the process, you’ll die. A lot. A Good Match For: Fans of witty writing, fantasy buffs, Tinder power users. Not A Good Match For: Those looking for more standard fantasy action fare, people who hate repetition, OKCupid power users. Easily one of the most celebrated video games of all time, Final Fantasy Tactics feels right at home on a mobile phone. It’s a sweeping saga, but individual turn-based battles unfold in manageable chunks, which makes it a fantastic commuting game. The mobile port brings over the dialogue enhancements from the PSP version, but with none of the frame-rate issues. If you haven’t played this classic, it’s absolutely worth downloading it. And even if you have, it’s never a bad time to play it again. A Good Match For: Fans of turn-based games or tactics games, anyone who loved the original and wants a good way to replay it. Not A Good Match For: Those who prefer simple mobile games. FFT is a complex and challenging game that requires learning and mastering a ton of different abilities, classes, and strategies. Read our impressions of the port, and our retrospective about the game’s legacy. Update 11/16/2017: We’ve added Framed 2, The Witness, Legend of Grimrock and Final Fantasy Tactics, and taken off Framed, Drop 7, Device 6, and Final Fantasy IX. Update 1/11/2017: We’ve added Reigns, Hearthstone and Super Mario Run while taking off Super Hexagon, Alto’s Adventure and Downwell. Update 3/24/2016: We’ve added Final Fantasy IX and taken off Hoplite. Update 1/6/2016: We’ve added Downwell and Alto’s Adventure to the list, and bumped off Asphalt 8 and Knightmare Tower. Update 10/7/2015: We’ve added Hitman GO to the list, since it had been absent for far too long. It replaces Angry Birds Star Wars II. Update 1/12/2015: Our list gets an overdue update as Framed, 80 Days, and A Dark Room bump off Infinity Blade III, Plants vs. Zombies, and Rayman: Fiesta Run. Update 6/04/2014: Hoplite and Threes make their way onto the list as 868-HACK and Oceanhorn say goodbye. Update 2/18/2014: With a new design comes an opportunity to totally overhaul the list. We’ve made a bunch of additions and subtractions: Goodbye Bad Hotel, Ghost Trick, Horn, Hero Academy, Need For Speed Most Wanted, and Temple Run 2. (All good games!) Hello Knightmare Tower, Device 6, Rayman Fiesta Run, Oceanhorn, 868-HACK, and Asphalt 8. 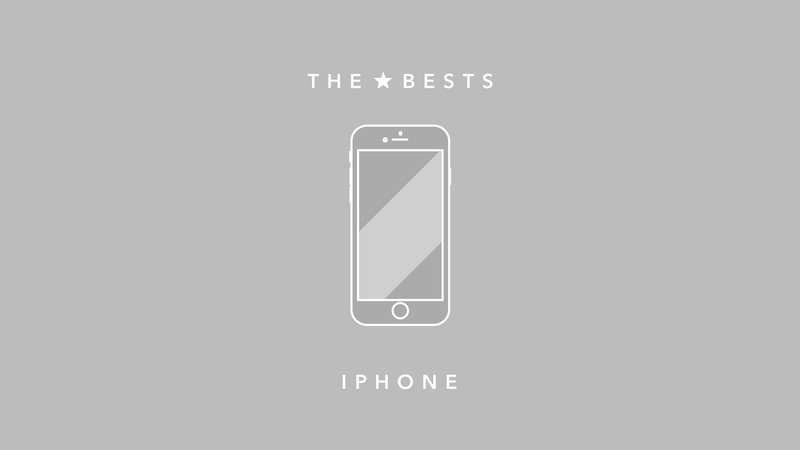 Update 09/20/13: There’s yet another new iteration of the iPhone out today so why not update the list of games that we think are best for Apple’s smartphone. Infinity Blade gets replaced by sequel Infinity Blade III and the same thing happens with Angry Birds Star Wars, as Angry Birds Star Wars II builds on its successes. If you have any money after getting a 5S, these games should be on your must-try list. Update 04/18/2013: So long, Letterpress! You warmed our word-loving hearts but Ridiculous Fishing’s outdoor mayhem cannot be denied. Lock and load, everyone! Update 01/28/2013: This time, Temple Run 2 bumps off Lili from the iPhone charts. Update 11/16/2012: Angry Birds Star Wars unseats Angry Birds Space, Letterpress writes Bejeweled out of favor and Need for Speed Most Wanted passes Jetpack Joyride in this change to our list of the most attractive games on Apple’s mobile phone. Update 09/21/2012: Ready for the iPhone 5? We’ve added two more Unreal Engine 3 games — Lili and Horn; the joyous frustration of Super Hexagon; the artsy and musical Bad Hotel; and the unique strategy stylings of Hero Academy. Apps dropped to make way for the new ones include Spider: The Secret of Bryce Manor, Edge, Eliss, Groove Coaster and Where’s My Water.